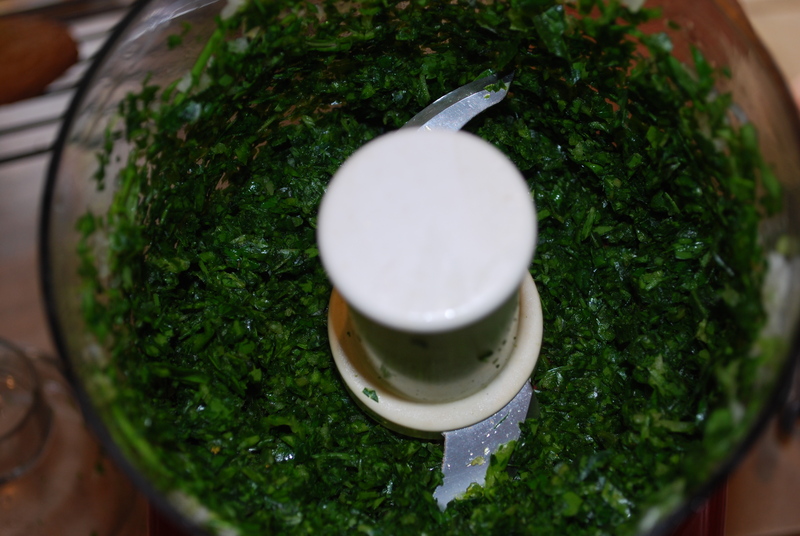 I am always using my mom’s recipes, or someone’s grandmother’s old recipes…this is one of mine…I am the MAMMA! Pulse until smooth and set aside. 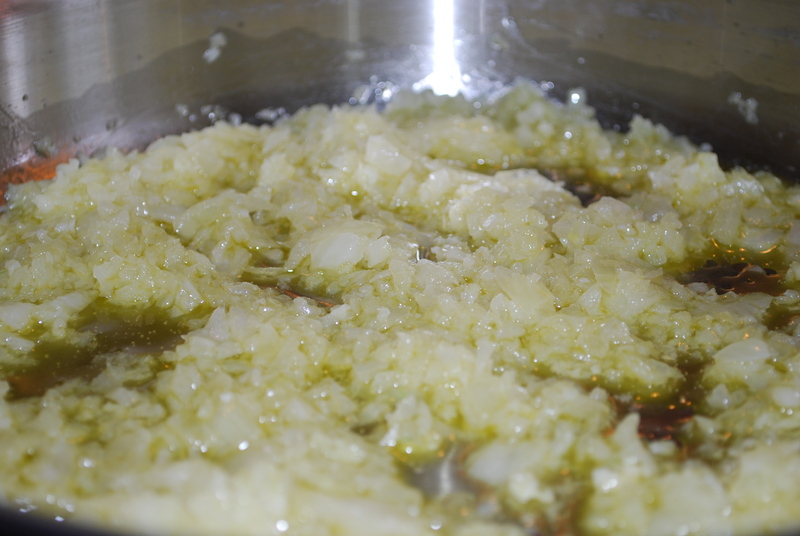 Place olive oil, onions and garlic in a saute pan and cook over medium heat until translucent and soft…about 10 minutes…. 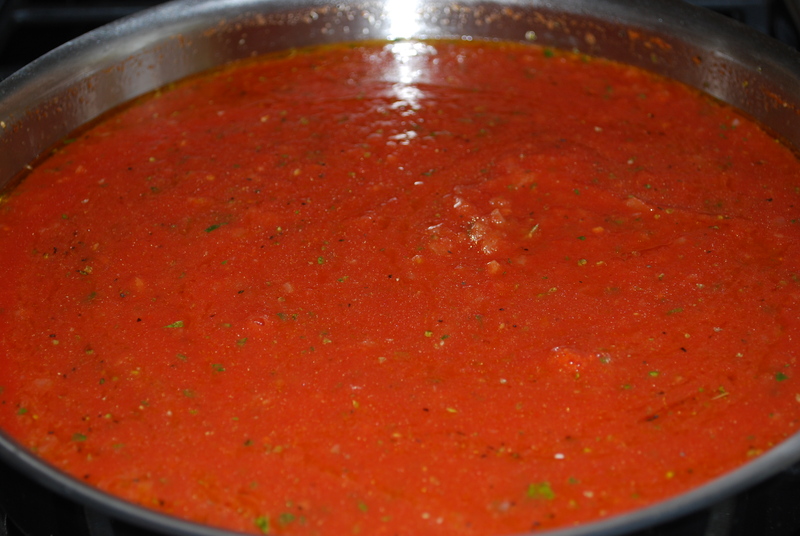 As tomato sauce, oregano, and salt and pepper to taste and bring to a boil over medium high heat. Once boiling, let the sauce simmer on low for about an hour. I find the longer you simmer, the better it tastes…if I am home I will just let it sit for a couple hours on low, stirring occasionally. If you don’t have time, it’s still delicious after 30 minutes! It makes a lot. Place all ingredients in mixing bowl and mix together…I use my hands…I find it is the best way to get everything mixed evenly. Next I use my scoop to make golf ball sized meatballs. Cook at 350 degrees for about 20 minutes. I then place them in the sauce for another 30-60 minutes, but if you don’t want to do that, cook them for 25 minutes. This recipe makes about 3 dozen. I put half in the sauce to continue cooking and the rest I froze for later. We had them last night and they were delicious! I love that there were enough meatballs to put half in the freezer for next week. It was also a perfect meal for a very busy night. Next time we will try it over spaghetti squasH. Thanks for the great recipes! I made these last night! They were a little time-intensive, but it was a fun activity for me and my boyfriend. They also tasted delicious and I have the leftovers for lunch today! Thanks for a great recipe. That is great Sarah! I agree…they take a little time, but I love having extra to freeze and use the next week or on a busy evening when I need a quick meal! I agree – these taste delicious! Made them today and my picky girls kept asking what was smelling so great. They had some for lunch and asked for seconds! Thanks for a great recipe! Yeah for picky girls wanting seconds! Glad you all enjoyed. It is a great meal to make ahead and freeze too! Shelley, my family and I loved the meatballs and sauce. Thanks again for sharing the recipe. Yeah Tish…glad you like! Hope you guys are well! Just wanted to let you know that I made this last night and it was fantastic! A hit with the whole family (which rarely happens). This will definitely go into our regular rotation. Thanks for sharing! My bf and I recently went Paleo and this was one of the first recipes we tried. They were delish and we had sauce leftover for an eggplant crust pizza the next day. Thanks! Found your website and love it. I have been gluten free for a while but just recently switched to Paleo for the 30-day challenge. I have never made meatballs in my life. Never attempted. They turned out great! Thank you!! My extremely picky son approves! Delicious. I didn’t make the meatballs but I did make the marinara sauce. Oh, boy! What a yummy treat this is. Such a great sauce and it tasted great with my zucchini “noodles” that I paired with some pork meatballs I had left over. This will be my go-to spaghetti sauce from now on! Thank you. Comfort food at its best. Delicious! making these right now! (with some modifications for what i have on hand) but they smell amazing! thanks! 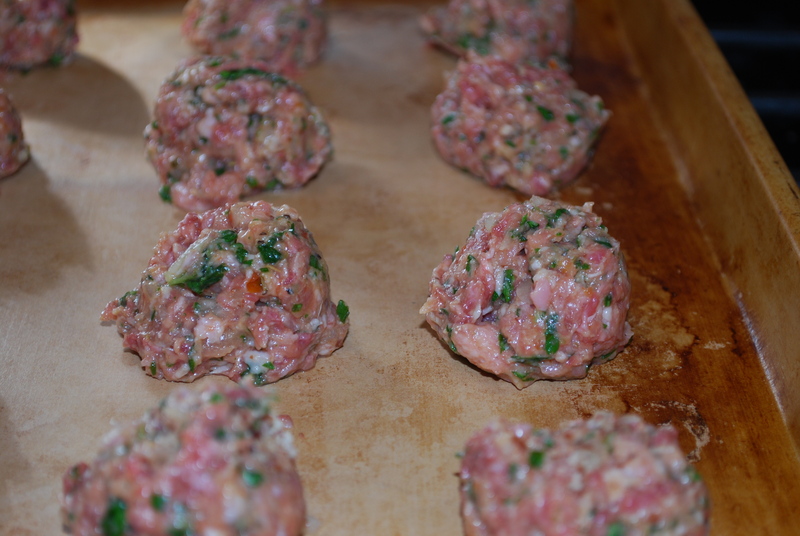 Loved these too but I had a mess of goop surrounding each meatball…luckily my husband wasn’t home to see all that and I quickly got them in the sauce! This is now one of my regular recipes. Love it! Can you suggest a substitute for the almond meal? would chick pea flour be alright? Haven’t tried it, as we generally avoid beans & legumes. If you try it, let us know how it goes! Can the sauce be frozen as well? Hi. I just made these and the sauce is coming out great. But the meat came out very watery. Do you know why this could have happened? Also, do you freeze the meatballs after they are cooked? 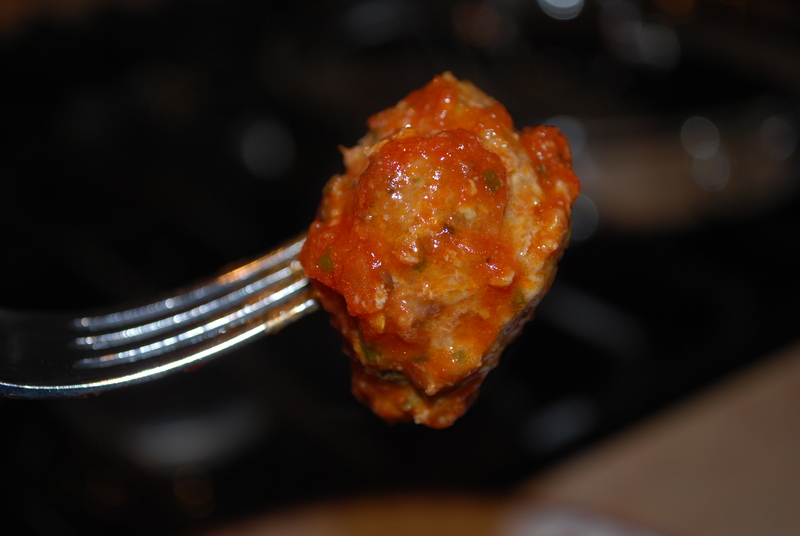 Was looking for a paleo meatballs to put in Italian Wedding Soup. These were perfect! Kids loved them. Thanks for the great recipe. That Marinara sauce is the best Marinara sauce I’ve ever eaten in my life. I could have drank it straight out of the bowl!!!!! Excited to make these tonight to go with some spaghetti squash. Wondering the best way to heat these up after they’ve been frozen? 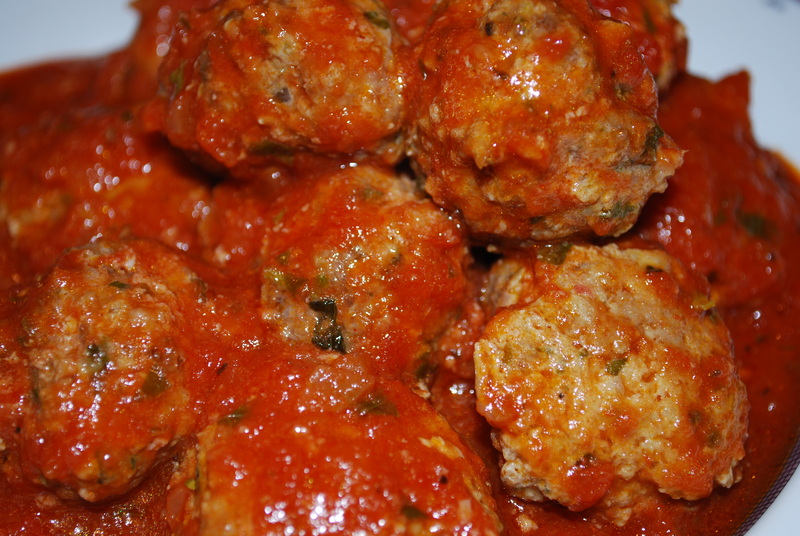 I want to make this will the 3 dozen meatballs and freeze about 3/4 of the sauce and meatballs. 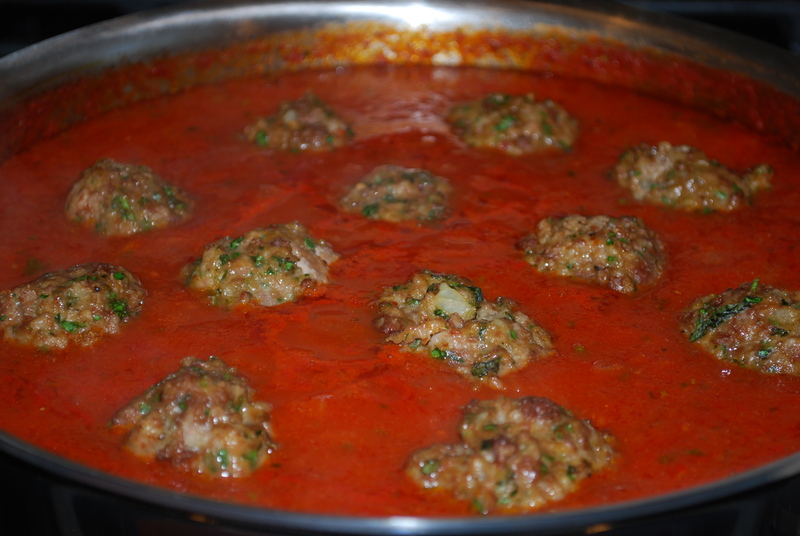 can I still put the meatballs to cook in the sauce for 30-40 min and then freeze the meatballs in the sauce? i noticed you said you froze them before putting them in the sauce. I made these tonight and can’t believe how good they are!! 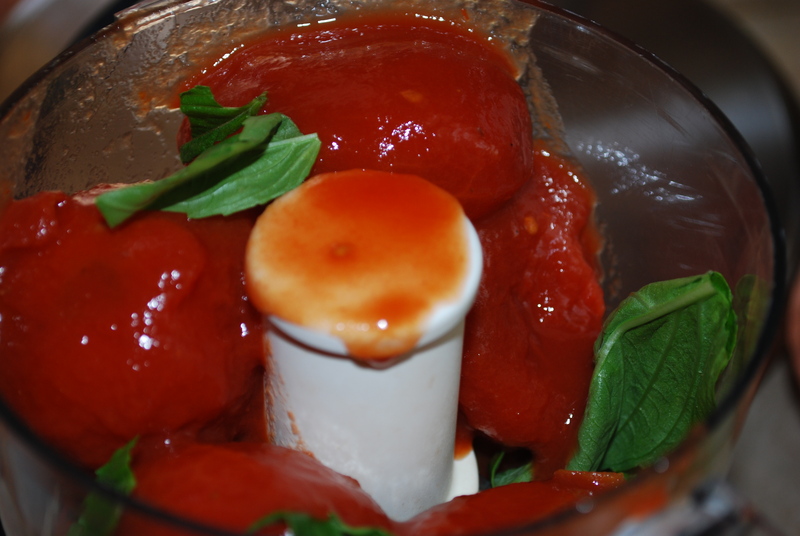 And the homemade sauce – amazing! Thanks for sharing!!! Recipe did not turn out as planned :-( 4 eggs was WAY too many for all the fresh herbs and spinach. It became very soupy and the eggs separated from the meatballs upon baking. I actually need to manually remove egg pools from the partially cooked meatballs. I should have trusted my gut instinct about this. I would love to know if it’s better to freeze the meatballs already cooked. I bought some at trader joes that are already cooked and they were so good. I made these once and these were so much better. If I could make these and freeze them I wouldn’t buy trader joes meatballs again. But do tell what is the best way to freeze them as well. In a ziplock bag? Or a container? I would like for them to stay as yummy and fresh as possible. Thanks so much!